25 farms, gardens and museums in and around the Red Deer area are featured in five showcase weekends – the spring drive on June 7 – 8, summer drive on July 12 – 13, open farm days August 23 – 24, harvest time drive September 13 – 14 and Harvest Showcase on September 28 – 29. Go to Country Drive for a driving map and listings of hours. Last year’s inaugural event saw over 40 Alberta farms* open their gates to welcome guests with special activities, tastings and family fun. Saturday, August 23 festivities will kick off with a diverse menu of culinary events including Ukrainian dinners, 10-mile meals, berry festivals and high tea. Check out the list of farms to visit on Sunday, August 24 at Alberta Farm Days. *With nine urban Small Plot Intensive (SPIN) farms as part of YYC Growers and Distributors Consortium, the SAIT culinary garden and bubble greenhouse, and many rooftop hotel and restaurant gardens within the Calgary city limits – opportunities to visit a “local” farm might be closer than you think. Look forward to this July 11 mid-summer’s progressive meal 30 minutes North of Edmonton with several participating farms culminating in a catered dinner. Details at Taste Alberta’s eventbrite spot. July 27, 2014 you can visit the five farms that make up the Innisfail Growers and receive a free bag of produce at each stop. Check out Innisfail Growers for a printable map and hours. Winter’s Turkeys, Poplar Bluff Farm, and Heritage Harvest will partner with Organic Alberta to once again sponsor and host ‘Come Visit the Farm’ – a local organic farm tour on Sunday August 17th, 2014. Tickets will be available at Community Natural Foods and Sunnyside Natural Market. For more details, contact Organic Alberta or 587-521-2400. 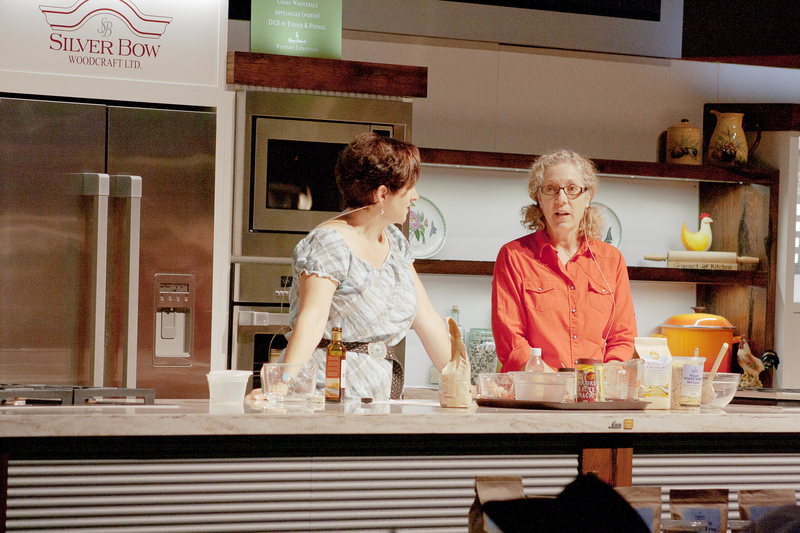 With two successful culinary tours in Alberta under her belt (Smoky Lake and Gull Valley), Hall will offer overnight trips to Kitscoty and Lloydminster, (recently completed June 21 and 22) and Medicine Hat, August 16 and 17 for the 2014 season. Prices will range between $500 and $750. Check out Seasoned Solutions for full details. Saturday, July 5, 1:30 – 4:00 p.m.
Kye Kocher of YYC Growers and Distributors hosts their first annual garden tour bicycle ride to three different SPIN farms (Small Plot INtensive) within the city. At each farm participants will learn how to harvest different types of produce and at the ride’s end each cyclist will take home a basket of produce. Funds cover the cost of the produce and refreshments with a small percentage going to the building of YYC Growers and Distributors collaborative processing hub. Riders need their own bike. Two hour tours of Verge Permaculture’s home base for those interested in learning about food forests, edible and medicinal plants, passive solar greenhouses, water harvesting systems, composting systems, cob ovens, and mega-productive vegetable gardening. Tuesdays, 5:30 – 8:30 p.m.
Bring your bike and meet Apiaries and Bees for Communities to spend an evening touring some of their 150 backyard beehives along the Bow River pathway system. Learn about bees and the thriving hive mentality in our city and spoiler alert: expect to taste some honey. Travelling across North America this summer? Check out SoilMate to build your own culinary farm tour itinerary based on products you are seeking from u-picks to wineries to produce growers and ranchers. This site will allow you to make visiting farms part of your journey no matter where you roam on this great continent of ours. After organizing, leading and hosting 14 City Palate “Foodie Tootles” since 2008, I am now focused on offering walking food tours four days a week in five of Calgary’s tastiest neighbourhoods between May to October each year. 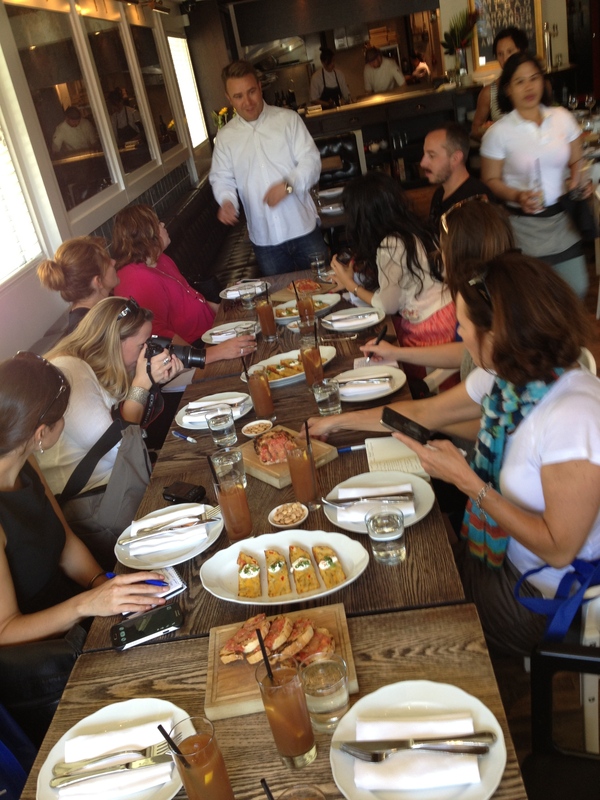 Check out Calgary Food Tours Inc. for more details.